We will provide a fun filled environment while raising money for charity. 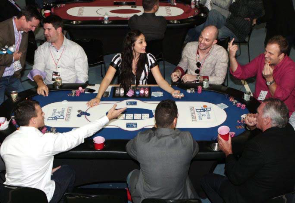 Guests will sit side-by-side and go head to head with retired and active NFL Football players, celebrities and poker professionals. Athletic ability, salary, signing bonus, managers, teammates and championship rings are irrelevant when playing with (and against) these stars at the gaming tables. Join NFL Icon Jim McMahon and World Poker Champion Chris Moneymaker and their friends for a celebrity poker tournament. Go head to head with celebrities, active and retired athletes and other special guests for prizes including a World Series of Poker seat. Proceeds from Hearts & Helmets benefit Every Kid Counts. 10:15pm Raffle for great prizes! 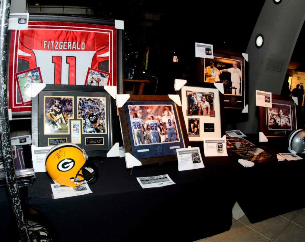 5th - 10th Place: Prizes from local supporters and autographed memorabilia. 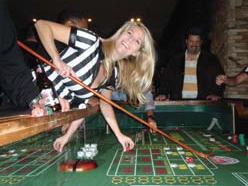 If you get knocked out of the poker tournament, you can still win great prizes at the casino night! 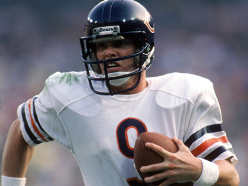 Hearts & Helmets 2015 will be hosted by Super Bowl winning quarterback Jim McMahon. McMahon led the famed 1985 Chicago Bears to one of the most dominant seasons in NFL history. The Bears finished 17-1 with a 45-10 Super Bowl victory over the New England Patriots. Jim's favorite charity is the Linda McMahon Ferguson Memorial Foundation for Literacy. 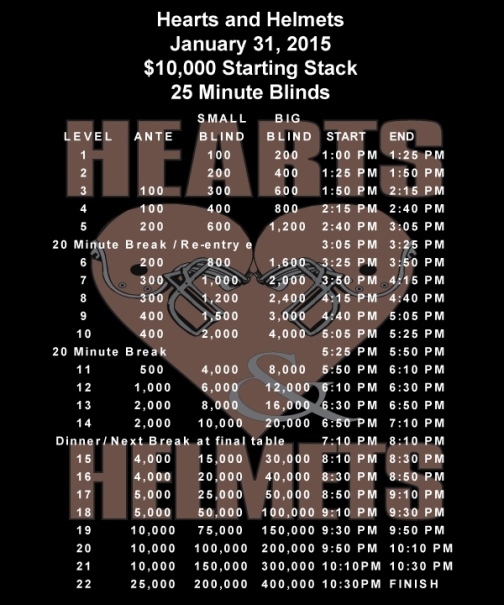 Hearts & Helmets 2015 will be hosted by World Poker Champion Chris Moneymaker, presented by I Wanna Go Cruises. 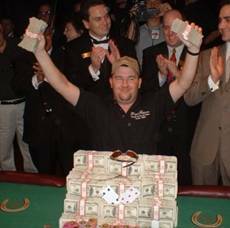 Chris Moneymaker revolutionized poker by winning the 2003 World Series of Poker Main Event. Poker had the reputation of being an old man's game played in smokey rooms or basements. 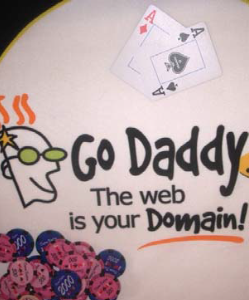 Then, the internet allowed poker to be played everywhere from dorm rooms to office computers. A 27 year old amateur poker player won an online tournament where the prize was a seat in the 2003 World Series of Poker Main Event. The best poker players in the world competed in this event and it was never believed that an amateur had a chance. Chris shocked the world by winning this tournament! The popularity of poker went through the roof! Fantasies of poker amateurs were unleased and millions believed they had a chance to win millions of dollars playing cards and possibly becoming the next world champion. This is known as the Moneymaker effect. Chris Moneymaker was a Nashville accountant before becoming a professional poker player. All guests are given the same amount of chips. Cards are dealt and the players have to know when to hold'em, know when to fold'em, and know when to bluff! 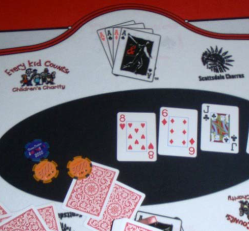 When a guest loses all of their chips, they are eliminated from the tournament. Eventually only one person has all of the gaming chips and that is our winner. Amazing prizes include: Big Game Tickets; Tropical Cruises; Poker Tournament Entries; to name a few. The entire final table will get trophies and goodie bags among other prizes. 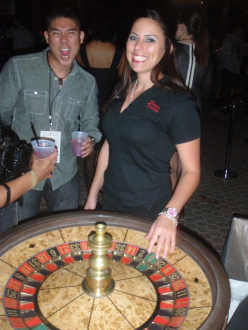 Guests receive vouchers for chips to play blackjack, craps and roulette in a casino environment. As you play and win, you are more likely to win great prizes! At the end of the night, guests exchange gaming chips for raffle tickets. TWO TICKETS TO THE BIG GAME ON FEBRUARY 1ST! 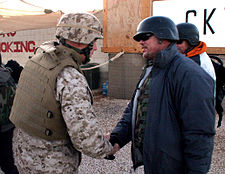 Arizona hosted the Super Bowl in 2008 and there were many independent parties the week before the big game which entertained thousands of people. Hearts & Helmets stood out because it offered EVERYTHING. Superstar Pamela Anderson and then Phoenix Suns All-Star Shawn Marion hosted the event. Guests sat side-by-side and played head to head against active/retired athletes, musicians, and local and national celebrities. The evening was non-stop fun with great food, drinks, a silent & live auction, and once-in-a-lifetime giveaways! 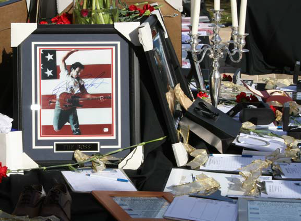 Throughout the night, there was music by DJs and live performances by soon to be superstar Ne-Yo, Las Vegas entertainers Zowie Bowie, and many more. In 2015 we are going to do it again! We will be giving away BIGGER prizes; inviting more celebrities; adding casino gaming; and having the Dream Dealers run the games and bars. It is going to be epic!!! ProPlayerInsiders.com brings a unique, behind the scenes look at the lives and lifestyles of the players of the National Football League with news, analysis, interviews, coverage of community events and featured contributions from current and former NFL players and their families. We offer a peek into player's personal lives and what matters to them, on and off the football field, as well as a look at the latest health and style trends, reviews of the newest technology, faith, family, music and much more. Our 'Insiders' section is fueled by a diverse group of athletes, experts and celebrities, giving our readers insight into what it is like to be a professional athlete. 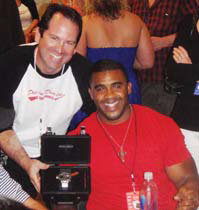 In addition to our reporters and 'Insiders', we work closely with NFL Players, as an official licensed partner, which gives us exclusive access directly to the players and special events.